As we’ve gotten more warm weather, I’ve had more skin out and it’s made me realise how little I take care of my skin. I’m a really big skincare lover but I rarely look after the skin on my body and I’ve made a big change. Over the past month, I’ve developed a some things I always use in shower. It’s like my shower body care essentials! I’ve noticed a massive difference in my skin for doing it and it’s all worked for me (which I’m really glad at). To start with, twice a week I’ve been using a body scrub. When shaving my legs I’ve noticed they’ve been smoother and had less ingrown hairs. Honestly I’ve been naive with this and didn’t really realise the importance of body scrubs. I’ve been using the lush rub rub rub body scrub. I love how it’s so gentle yet exfoliates my body so well and is a multiuse product. I am in my second tub of it and it definitely won’t be my last. Onto shower gels, I change mine pretty much all the time. There’s not many gels I stick to honestly. At the moment, the one I’ve been using is a ted baker one I’ve had for a long time. 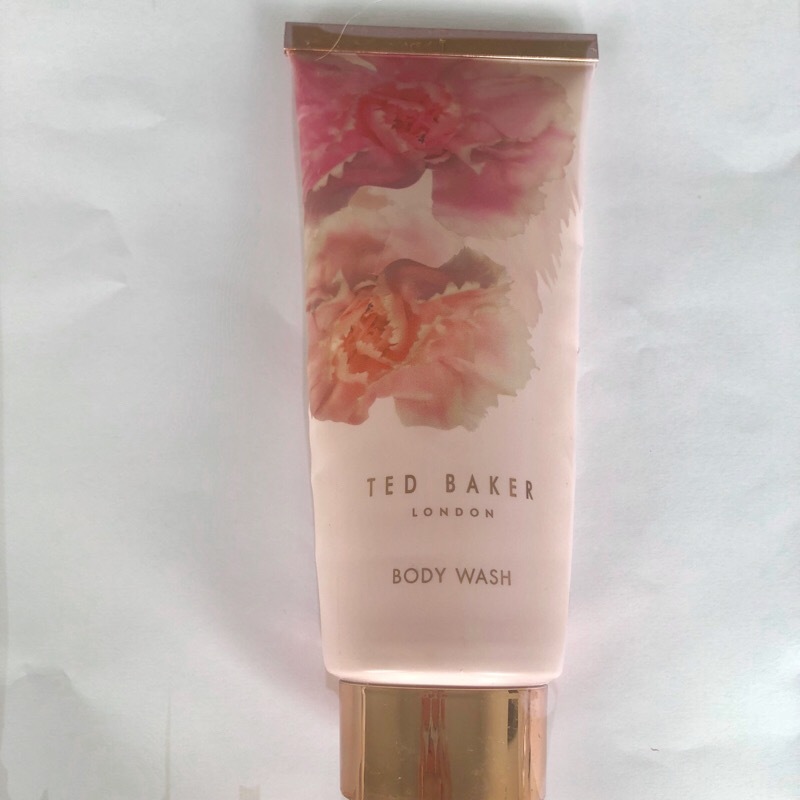 I always pushed this to the back but it’s my favourite ted baker scent they’ve had and I wish they’d bring it off! I have no idea how it’s lasted so long but I’m so glad because the smell is so good. Once I’m out of the shower, to compete this I have to use a body butter. 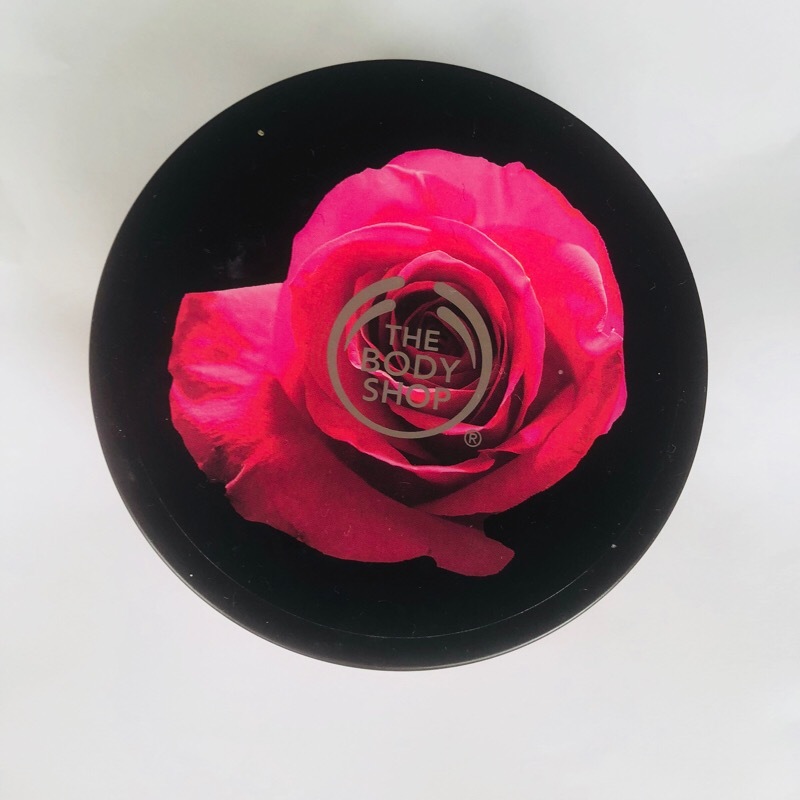 I am such a sucker for the body shop body butters. Personally I’ve just found they have the best, silky formula and it’s pretty hard to beat them. They’re a classic and everyone knows about them but they are just so worth it. Honestly I just feel this completes my routine and puts the cherry on top of my bodycare. I love rub rub rub! 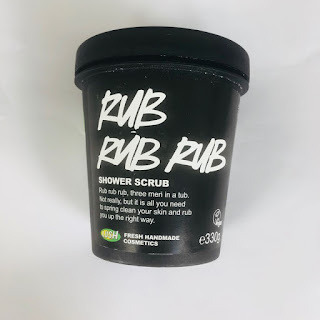 It’s my favourite body scrub and definitly leaves you feeling so smooth!!! Great post! You should try the LUSH Ro's Argan Body Conditioner, it's my favorite to use. It leaves you skin feeling so soft. Well this made me think that I should begin body scrubbing adventure as well. 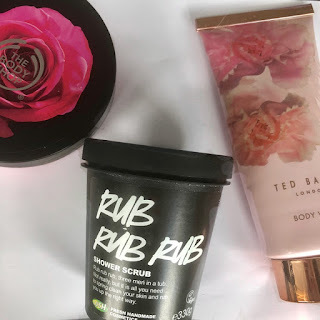 Face scrubs I love, haven't tried many body scrubs though (apart from the body shop mango one), better improve in that sense :) I also agree with you that body butters are a must!